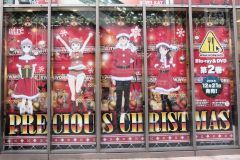 Between December 26, 2016 and January 9, 2017, there was a collaboration event at Atre Akihabara for Love Live Sunshine. 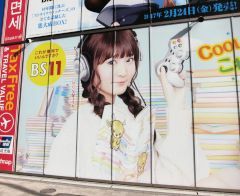 In winter 2016/2017, there was a large advertisement on the wall of Sofmap for the TV Show AniGe Eleven featuring Kubo Yurika. 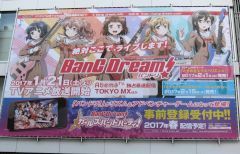 At the end of December 2016, there was a large advertisement on the wall of Radio Kaikan for BanG Dream. 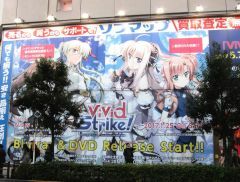 In December 2016, there was a large advertisement on the wall of Sofmap for the ViVid Strike! Bluary/DVD. 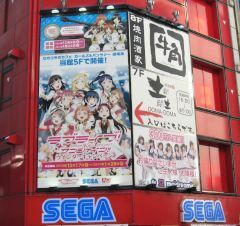 Between December 17, 2016 and January 29, 2017, there was a Love Live Sunshine Winter Campaign at the Sega game centers. Between December 23, 2016 and January 9, 2017, there was a Witches museum on the 7th floor of Gamers. 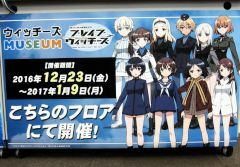 Between December 1 and 25, 2016, there was a collaboration event at Atre Akihabara for WWW.Working. 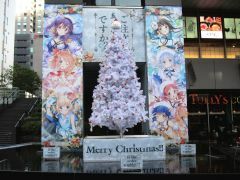 In December 2016, there was a large Christmas tree and many advertisements at UDX for the Gochi Usa Bluray/DVD.